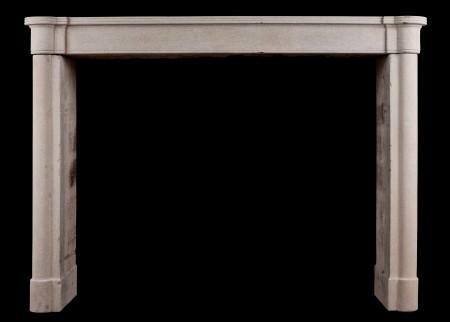 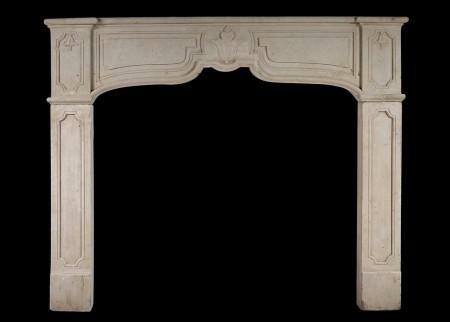 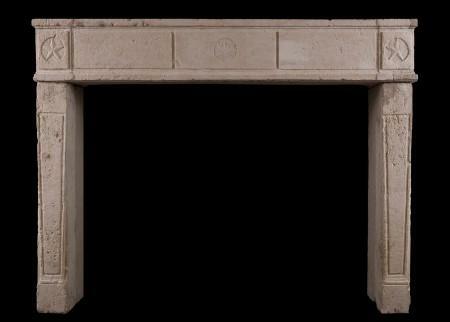 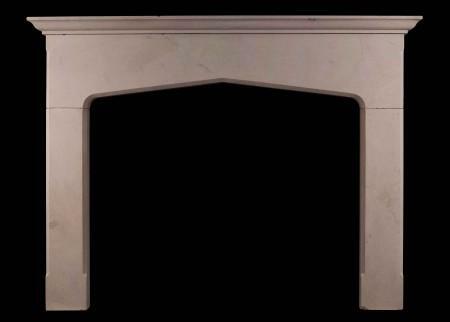 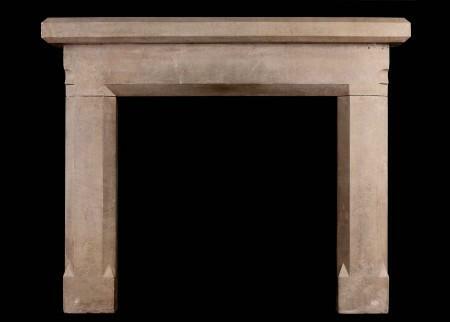 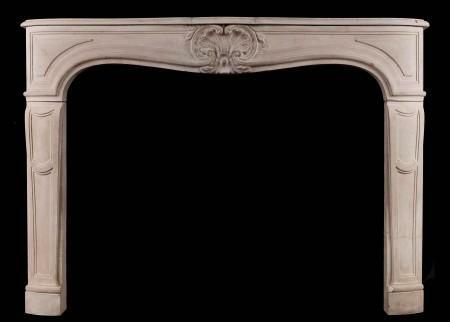 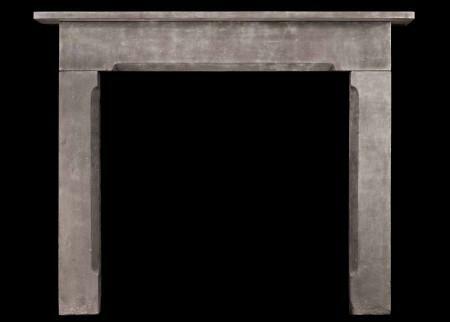 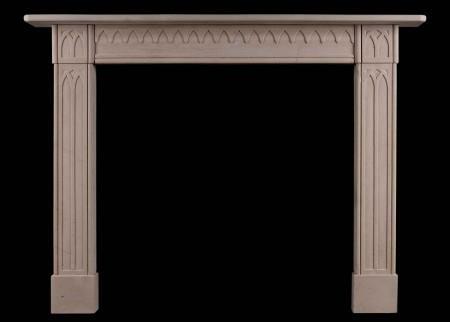 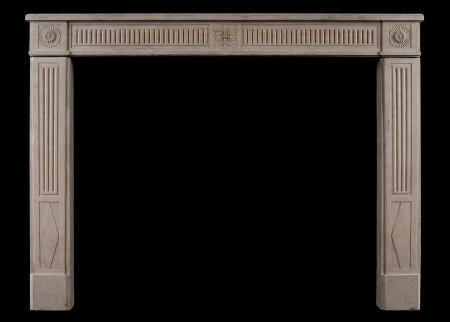 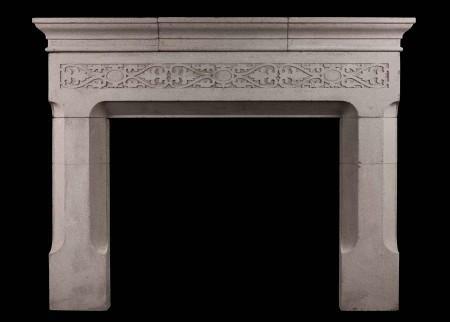 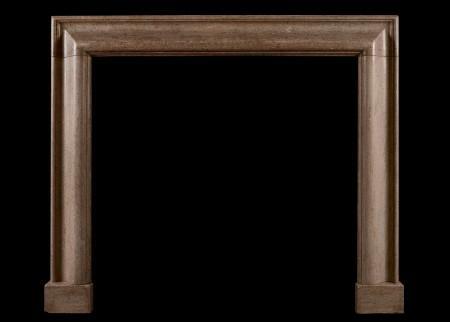 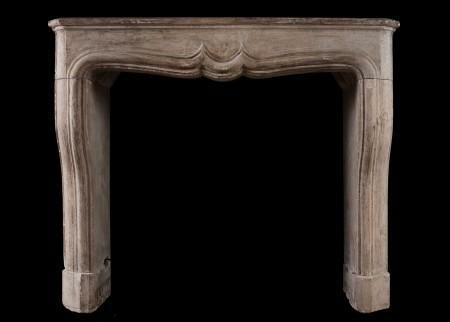 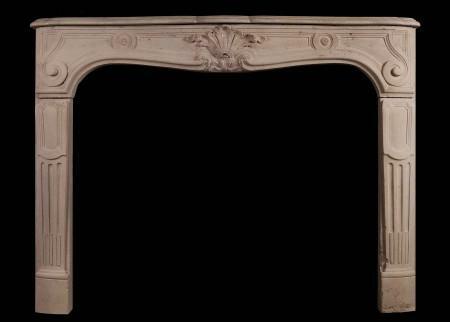 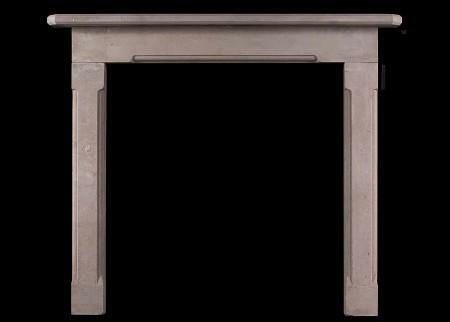 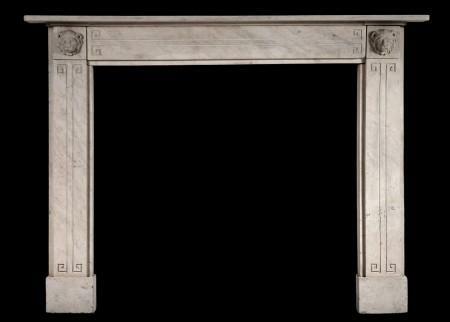 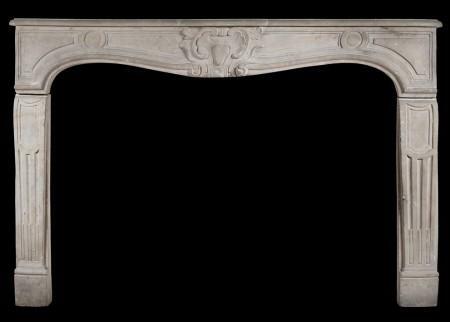 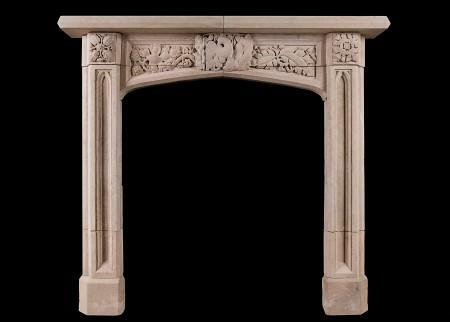 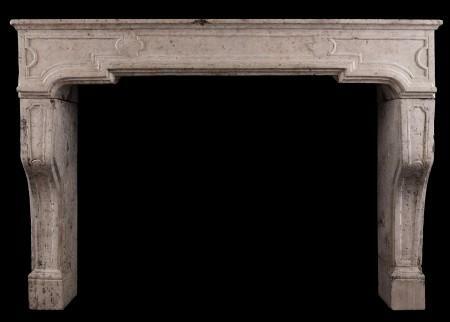 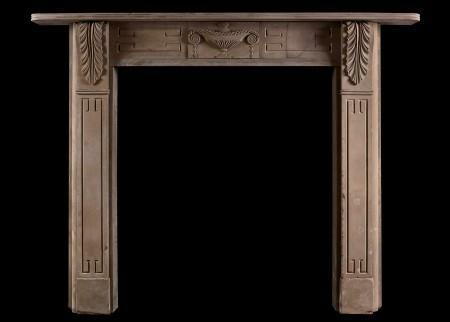 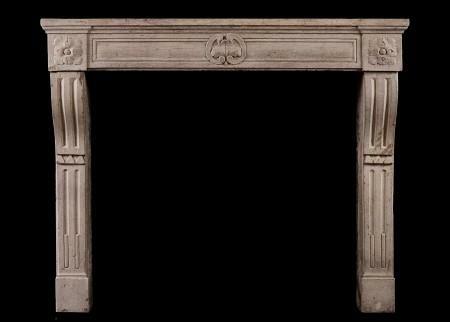 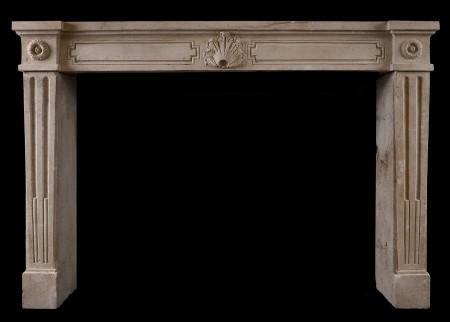 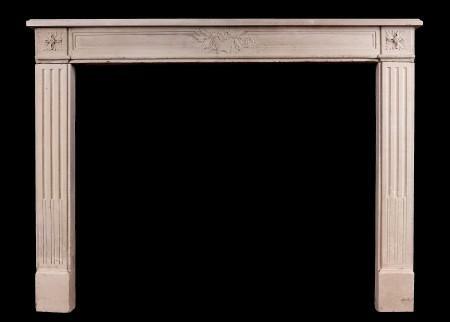 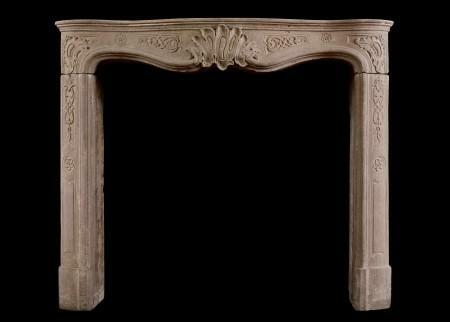 A well proportioned English Regency sandstone fireplace. 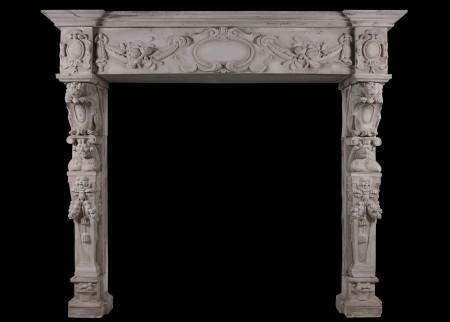 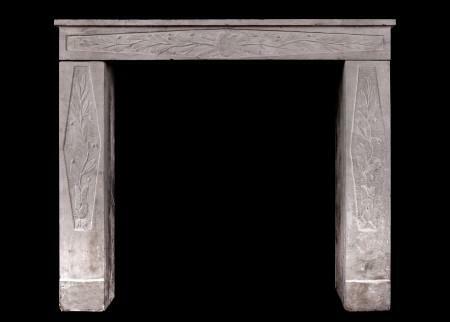 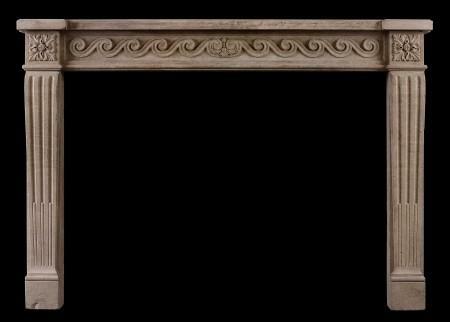 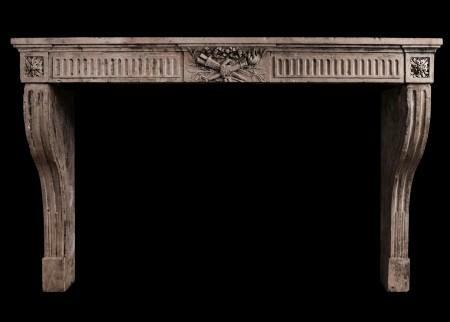 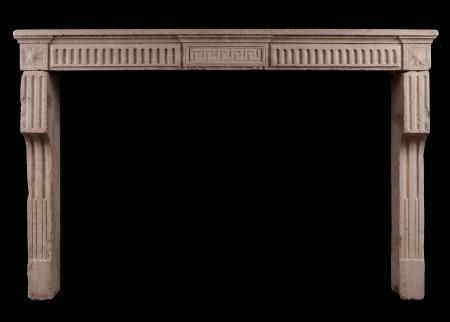 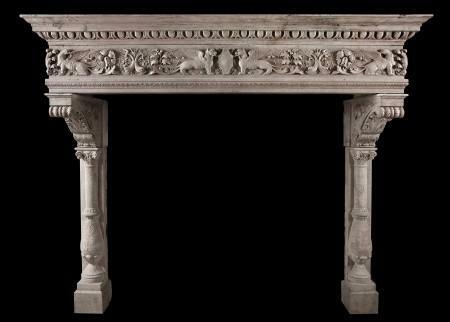 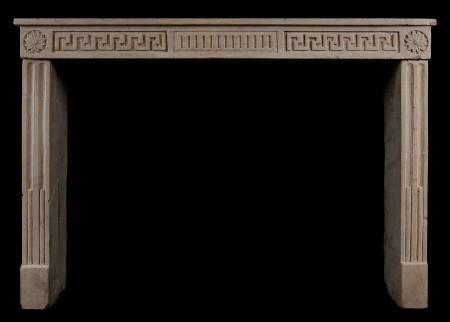 The jambs with Greek key panels surmounted by carved brackets of classical form. 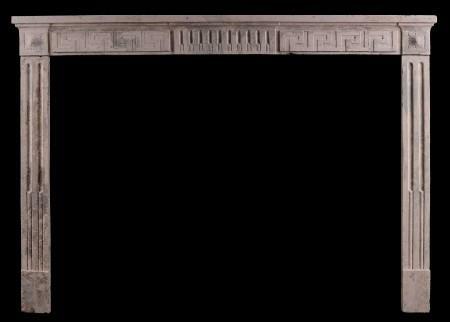 The frieze with carved classical urn to centre. 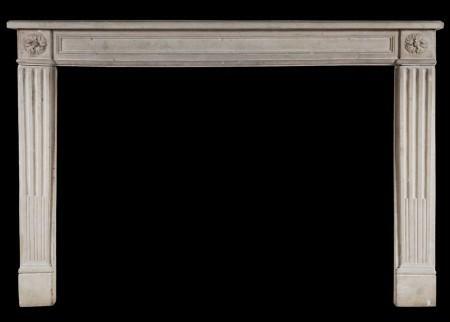 Reeded shelf above. 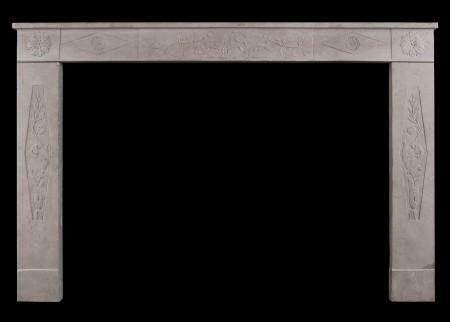 Some natural veining/patination to stone, primarily in frieze. 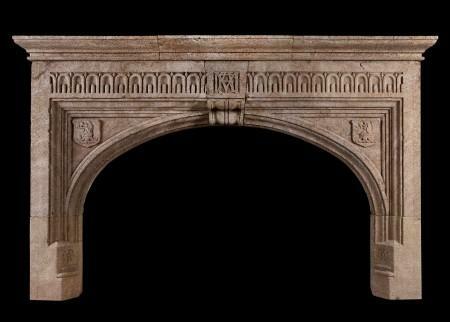 Photo prior to full restoration which is included in the price. 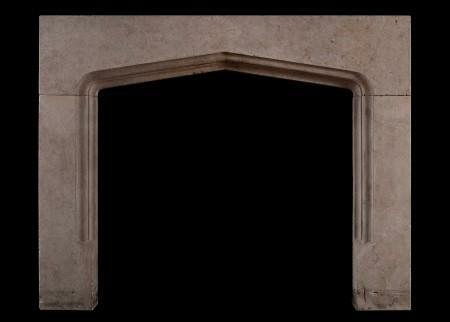 First quarter of 19th century.